Civitan International is a global organization impacting lives at the grassroots level through local service clubs, and we are proud to announce that several of our arc Ambassadors have been made members of this amazing organization. 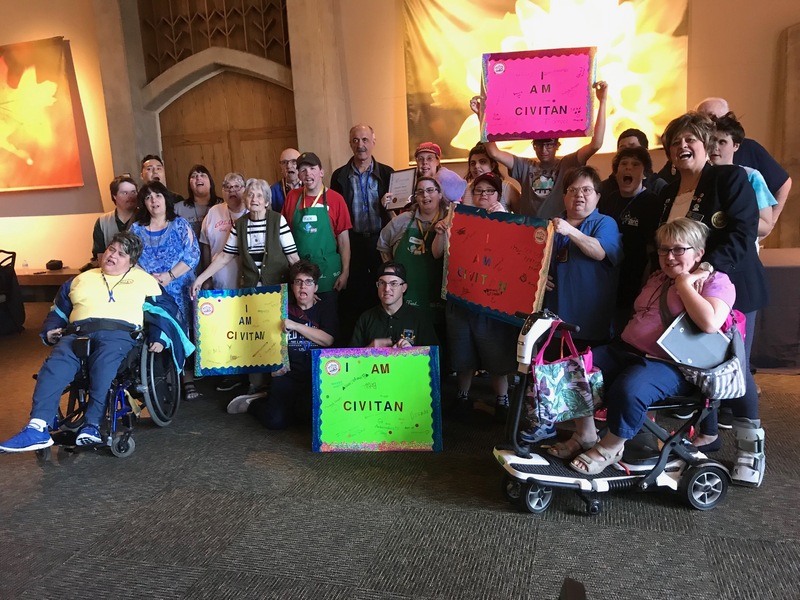 Members of Civitan share a Servant’s Heart and a desire to create positive change for people with intellectual and developmental disabilities. Further, Civitan membership goes beyond making a difference in the lives of others; it provides opportunities for personal growth, leadership training, and organizational experience. Everyone had a magnificent time at the arc Ambassador Civitan Club charter celebration held at the Denver Botanical Gardens (it was a beautiful day, and yes, we roamed the gardens after the meeting). International president-elect Patsy Perkal presented the group with the mission and the rules that govern the club and introduced the club’s officers. Michelle Knight is the president and is charged with coming up with ideas for the club in its efforts to benefit the community. Kyle Knoeble is vice president, Elnaz Sobhi is the secretary, and Dominick Rivera is the treasurer. Each was presented with a special officer pin representing the special role they have in the club. The message of good citizenship rooted in compassion, service, and respect for people in need is central to the club. 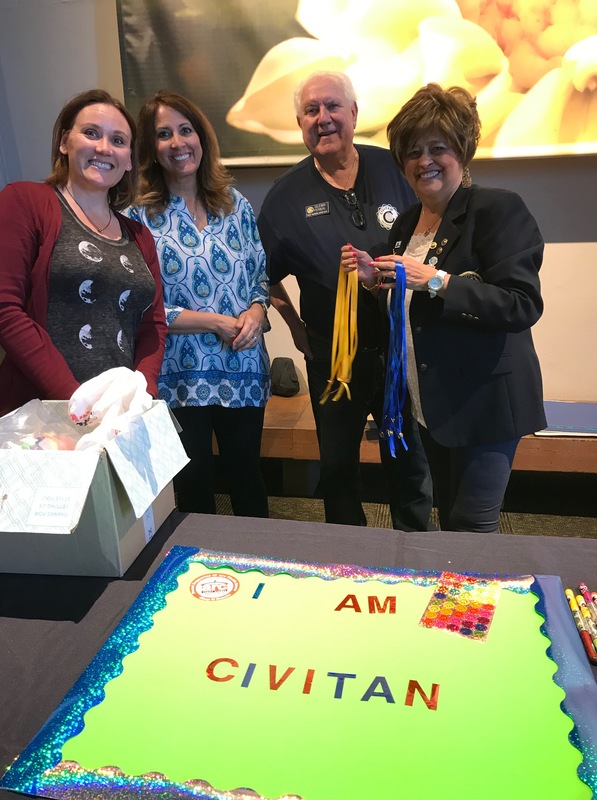 Check back with this blog to stay apprised of the many worthy efforts the new arc Ambassadors Civitan Club will accomplish. In grand style before an audience of cheering families and friends, 94 individuals with intellectual and developmental disabilities proudly accepted their college diplomas Wednesday evening from Arc University. 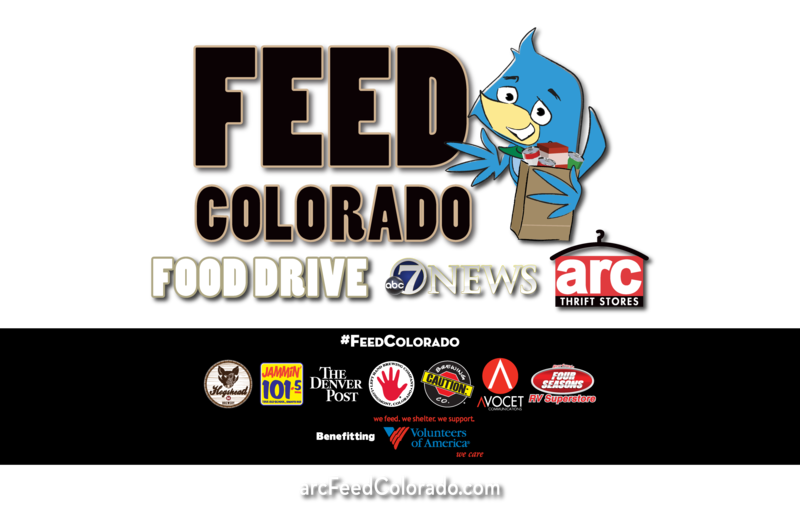 Arc University, formed in 2012, is the vision of the management team at Arc Thrift Stores of Colorado. 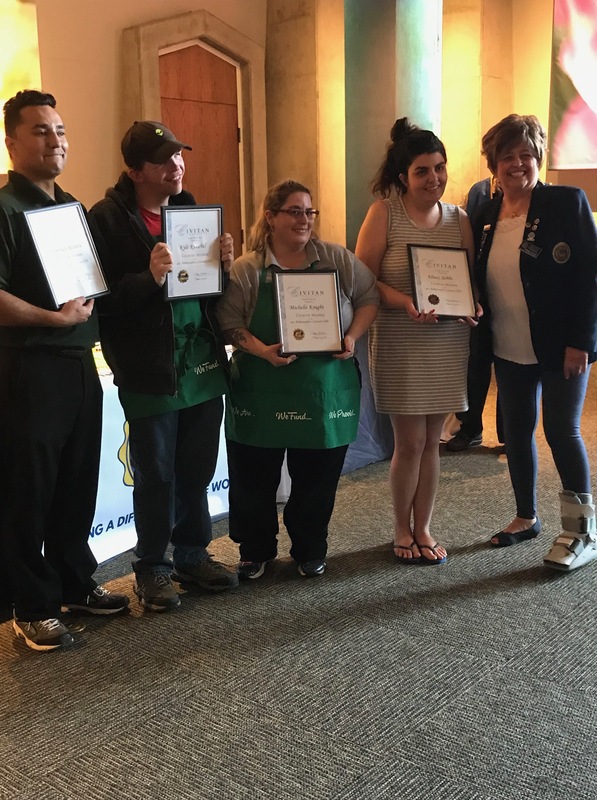 Through a $100,000.00 grant from The Daniel’s Fund, Arc developed “Arc U” to provide an education in life skills for team members with intellectual and developmental disabilities. The 94 graduates received a variety of degrees including Certificates of Participation and Doctorate Degrees. Radio talk show host Angie Austin delivered the commencement speech. Former First Lady of Colorado and Arc Thrift Stores Community Relations Director Frances Owens, along with Penfield Tate, Faye Tate, Cleo Parker Robinson, Tamra Ward,Stephen Burg, Lynne Valencia and Patti Dennis were also in attendance.